Thanks Paul. . .another top notch job as always! Been waiting patiently for this one. Could I clarify one thing - can the Super Stearman be publicised on other forumsvia posting of shots? of course it can but it won’t be available to purchase for the general public until next weekend at the earliest. Perhaps even later. Thanks for the DISCOUNT & Outstanding aircraft!! Wow, thanks again for the discount and for creating such an outstanding FS aircraft! Really enjoy flying it. Love the wing walker option.....very neat pop-up for great choices. Very, very nice and a smooth install as well. Note to GAS: this is my twenty-third purchase...…! Wow, thanks to GAS for another excellent package. Going to really enjoy this one. Another great model from GAS. Bought it upon seeing it was available. Thanks for offering it at a discount. Been looking forward to this one. Thank you for the discount and early release. Well done. Hopefully we can get an admin to stick th thread until the offer expires. please? Thanks guys! I've been looking forward to this release. Whooow! Downloading as we speak, can't wait to fly this beauty! Thanks again to GAS for the allways generious discount given to SOH-members! Didn't see this over in the Prepar3D v4 forum, glad I popped in here! I clicked, however it just goes to my PayPal login. Is there a product page to learn about the update first? Downloaded it yesterday, printed the manual and read it all, then installed. It is a real beauty. Will start flying today. Thanks so much for the effort everyone on your staff put into it. First of all I wanted to thank Paul for this new addon and also for the discount. I do have one general question with the thumbnail views of bmp and some dds files in Win 10. As you can see there are some dds thumbnails (not all) that I can preview in the textures folders. I am using Ifranview 64 bit. It will open the dds files but not provide a thumbnail view. 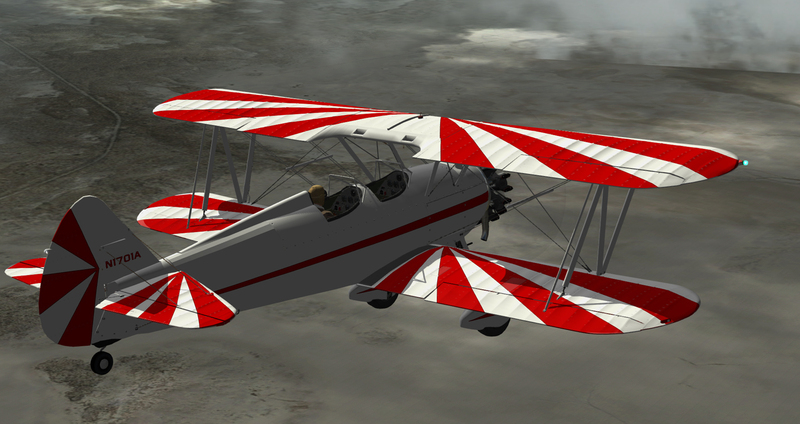 Appreciate any suggestions on program(s) that will associate all dds and bmp files that are of Flight sim textures. I use DXTBMP for all my repainting. It is free, just Google it. It may have to do with the texture's dimensions. Many of the GAS textures are 4096x4096. I get the same view only with a PSD icon instead of a Canvas icon. DXTBMP will open the big files. You will of course need another app to actually repaint. Is it normal for win 10 or older to display dds files this way? Edit: With other textures of other aircraft Dxt and ifran view will both display thumbnail pics of the dds files. It seems a conundrum with the GAS textures for some reason. You may be correct. Even small GAS files show a PSD icon. The GAS textures seem to be dds-888-8-32 where my Lionheart F24 dds, for example, files are DXT5. They show a thumbnail preview.